Mikhail also speaks about modern Russia: "I am getting a little nervous about all these rallies, with protesters carrying holy banners and calling for the government to ban all kinds of things. There is no point fighting homosexuals with religious banners or placards… Making great films, creating great art—that's the proper way to express one’s ideas." 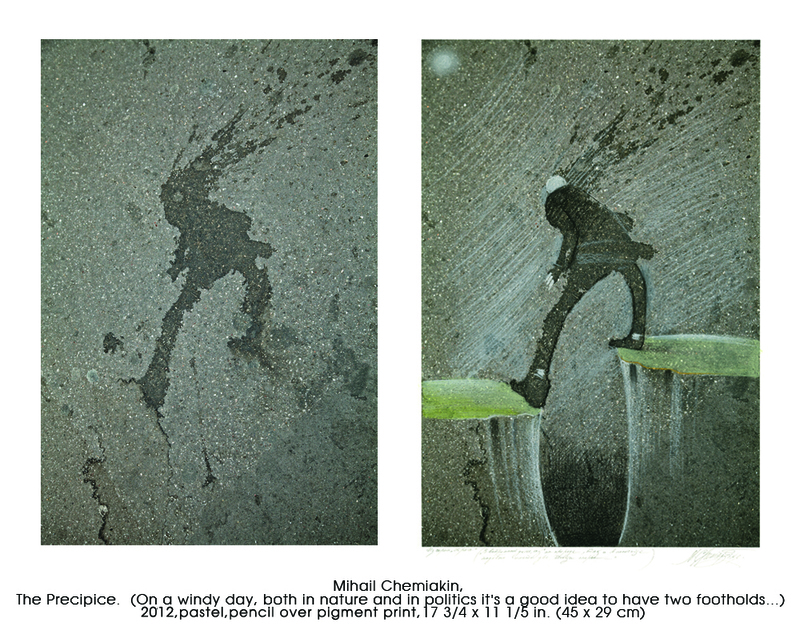 Following the exhibition in the United States: The Mimi Ferzt Gallery in New York hosted an exhibition of art by Mikhail Shemyakin entitled “Sidewalks of Paris.” An unusual technique, the ability to see the story in everything, an artistic form—these are the components for the success of Mikhail Shemyakin’s new works.